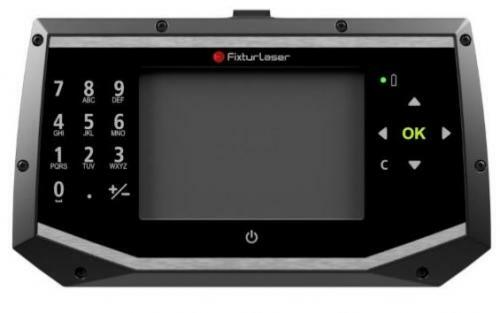 Fixturlaser ECO presents the latest entry-level system for shaft alignment. The state of the art technology is incorporated to allow users to easily measure or solve their misalignment issues. 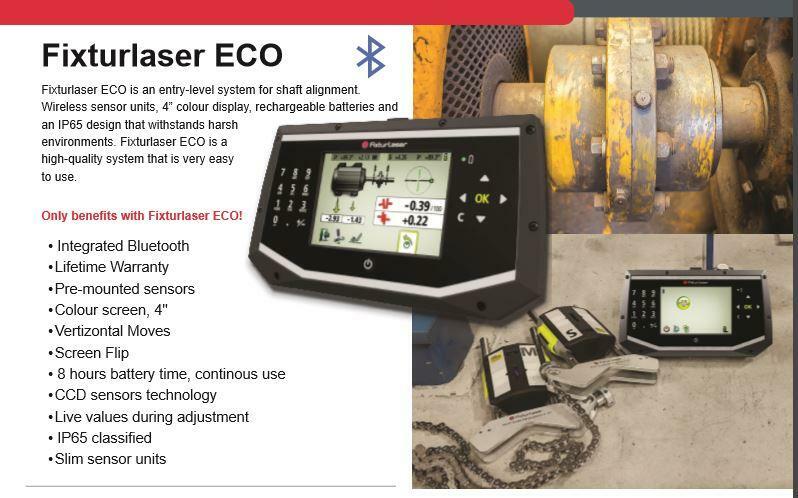 The 4" color Display Unit with rechargeable batteries connects the sensors wirelessly and an IP65 design allows for operations in harsh environments. The alignment process is made easy to understand for the user as the interface shows the extent of misalignment and provides guidance on how much the machine's feet need to be adjusted. The adjustment process guides the user to add or remove shims and a live values display is present for the horizontal adjustment process. Contact us for a quote or a free demonstration here.